One of my family’s favorite times of year for a road trip is winter time. Every year, we take a drive through the Ozark hills in Missouri to visit Branson for An Ozark Mountain Christmas. We visit area attractions and watch live Christmas-themed shows as we get into the spirit of Christmas and revel in the beauty of the season. We also finish up our Christmas shopping and eat some of the best country cooking you’ll find anywhere. It’s a special time that my family looks forward to every year. Of course, when driving through the Ozarks in winter, you have to be extra vigilant about road safety. We live in Southwest Missouri, and the weather can change at any moment, especially in the winter. It’s important that my family is safe while traveling, so my husband and I take some extra precautions during this time of year. We’d like to share what we do with you so that you can be safe, too. Here is a checklist just for you. One of the first things my husband does as winter approaches is check the condition of our tires. It’s so important that you don’t let your tire tread get too worn. One way you can check the tread is to insert a penny, Lincoln-side facing you and head-down, into the tread. If you can see the top of Lincoln’s head, your tire needs replaced. Jeff and I decided to purchase a new set of tires before our annual trip, so we placed the order with Sam’s Club. When you place your order, be sure to order the correct size. There are several ways to verify the size. You can look at the sidewall of your tires. You can look on the sticker on the driver’s side door jamb. 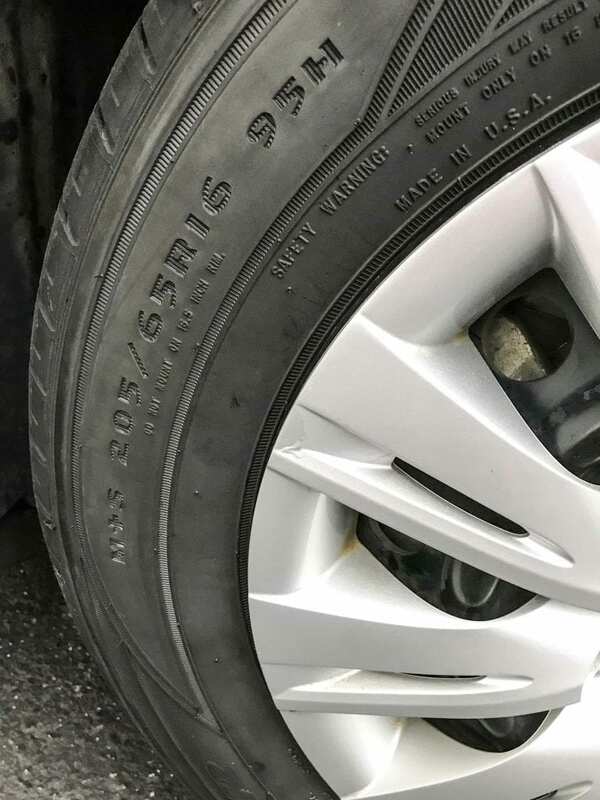 https://www.samsclub.com/sams/tire-search/1056.cp As you can see, our size is 205/65R16. We placed our order for Goodyear® Assurance® WeatherReady™ tires with Sam’s Club (this tire does not fit all vehicles!) This tire is perfect for all weather conditions including rain, sleet, or snow. It’s not the first all-weather tire from Goodyear, but it’s currently their best. I feel really confident with Goodyear Assurance WeatherReady tires, and I know these have the best technology for tread and stability. I feel like we’ll be ready, no matter what weather mother nature throws at us. As much as we like to take our Branson trip, we also like to return home safely! Besides their professionalism and great service, there is another reason to purchase your tires at Sam’s Club. When you buy four Goodyear Assurance WeatherReady tires, you’ll get $80 off instantly! Please note that these tires do not fit every vehicle. Visit Sam’s Club here. *Save $80 off the displayed retail price. Excludes medium commercial truck tires. Not to be combined with any other offer. Offer can be changed, modified or canceled at any time. No rain checks. See a Sam’s Club® Tire & Battery Center Associate for eligible tires, details, terms and conditions. 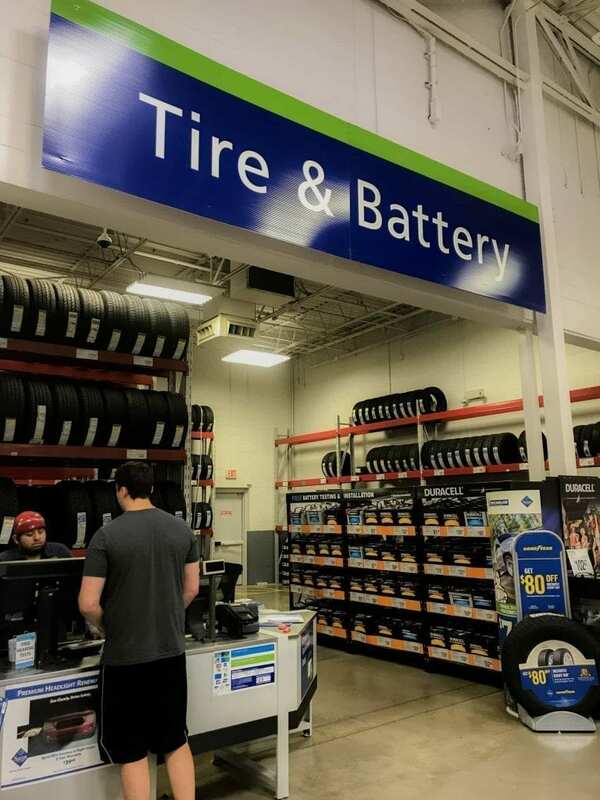 When our tires arrived, we made an appointment to have them installed at Sam’s Club. At our location, the Tire and Battery Center is to the right of the entrance when you enter the club. 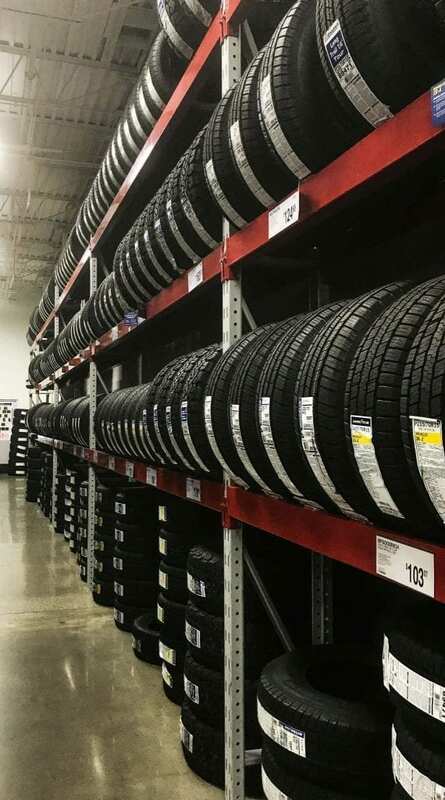 If you’d like to take a look at the tires in person before they are installed, you can walk down the tire aisle. 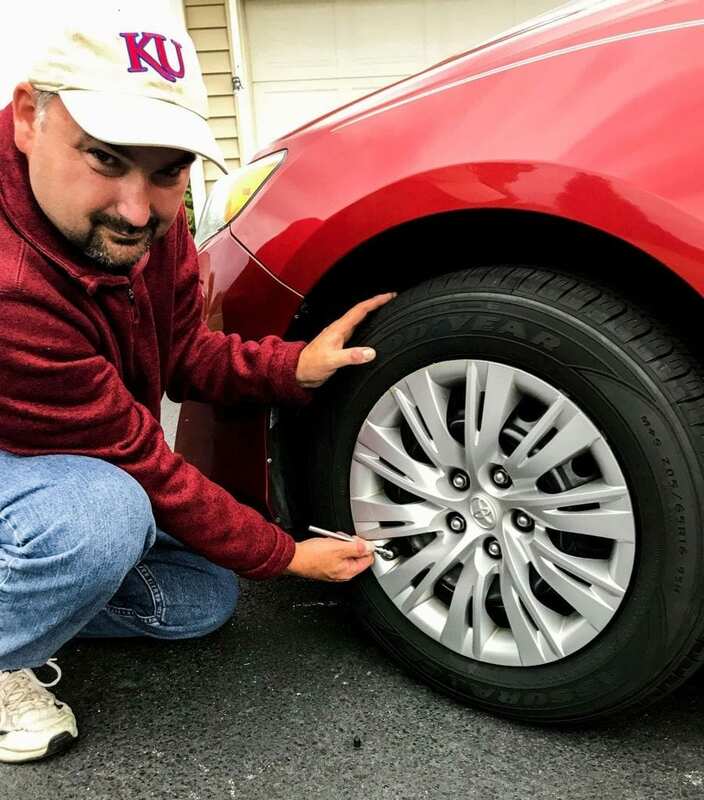 We had our Goodyear Assurance WeatherReady Tires installed in about an hour, and I feel very confident that we have high-quality tires appropriate for all weather conditions, and we got them at a great price! 2. Gauge the tire pressure. It’s important for fuel efficiency and vehicle stability to have your tires inflated to the correct pressure. 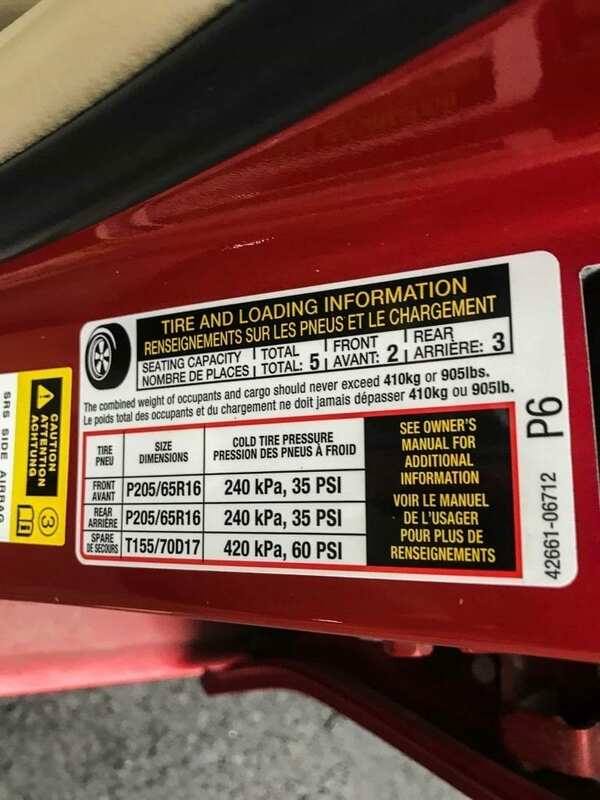 Check your owner’s manual for the correct pressure for your car. 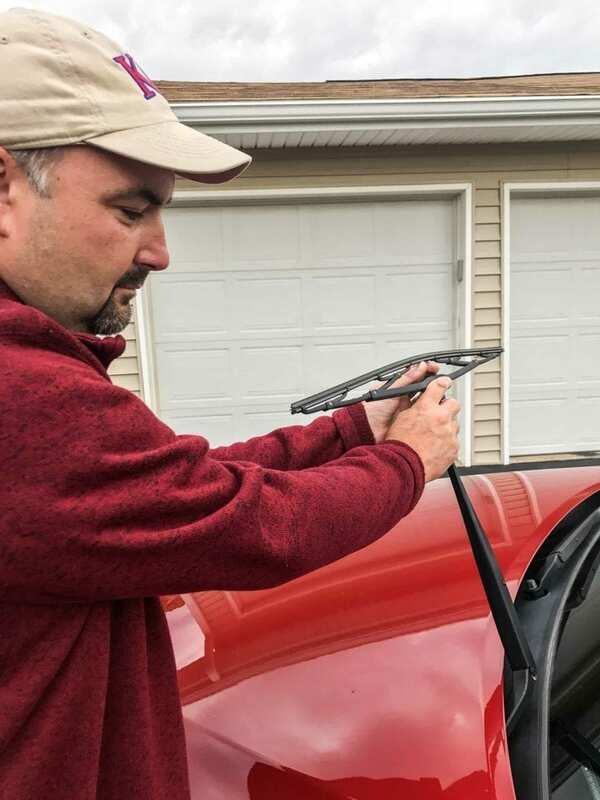 Be sure your wipers are free of wear and tear by running your fingers along the blade to feel for worn spots. If your wipers aren’t in great shape, you’ll reduce your visibility while driving in winter precipitation. 4. Use no-freeze windshield wiper fluid, and consider using a de-icer in your fluid. Again, it’s all about optimizing visibility when winter precipitation happens. 5. If you don’t already, be sure to use antifreeze for your engine coolant. Most experts suggest using 60% antifreeze to 40% water. If your area is particularly cold, you may want to use a 70-30 ratio. Consult your owner’s manual for more information. If your battery is more than two years old, be sure to have your battery checked before you head out in the winter. A car battery can lose up to 60% of its charge when the temperature hits zero. You definitely don’t want to be stranded with a dead battery in the middle of winter. 7. Prepare an emergency kit. In the winter, you want to be extra certain that you have the supplies you need should you become stranded. 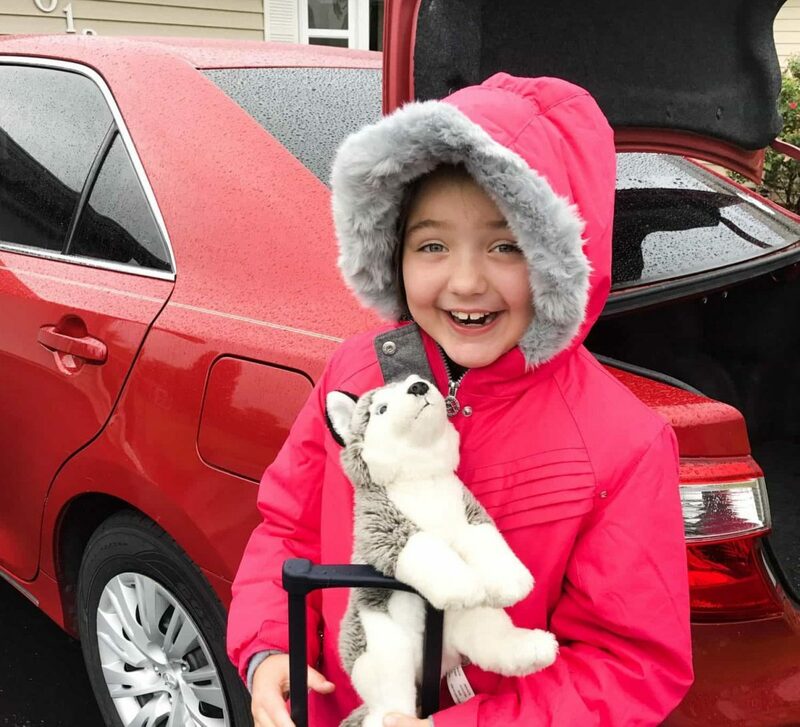 Be sure you have jumper cables, a tow rope, basic tools, a flashlight, batteries, first aid supplies, bottled water, high-energy snacks, blankets, and ice scrapers. You may also want to bring a bag of sand or kitty litter for extra traction if you slide off the road. 8. Fill your tank up with gas before you hit the road. If you slide off the road or become stranded, you want to have plenty of gas to heat your car while you wait for help to arrive. 9. Charge your cell phone. Be sure your cell phone is completely charged before you leave. Your phone may become your lifeline if you are stranded. You want to be sure you have plenty of charge to call for help and get updated information. You also may want to bring some fully charged power sticks to charge your phone if you are stranded for a long period of time. 10. Consider purchasing roadside assistance. This service can be really valuable if you need a tow, a locksmith, or a tire changed. The peace of mind may be worth it! If you do become stranded, experts advise that you stay in your car, if possible. If the temperatures are very cold or visibility greatly reduced, you may put yourself in a more dangerous situation by leaving your car and exposing yourself to the elements. If you can safely keep your car running, you are better off staying in your heated car under the blanket you brought. 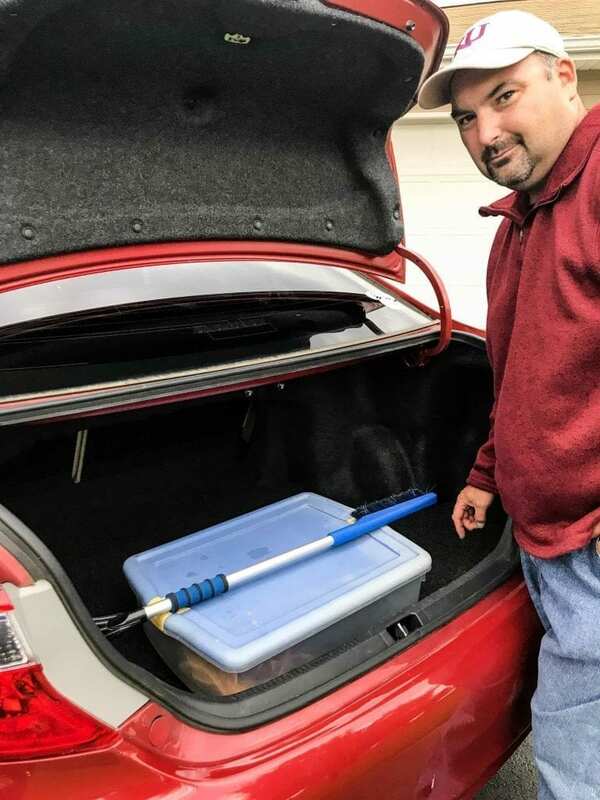 Here is Jeff demonstrating some of the items on this list to be sure you are ready for winter travel. 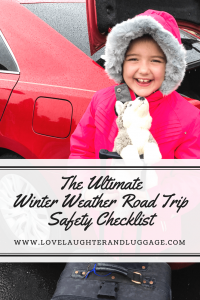 We have also created a checklist for you to print off so that you will have it at your fingertips before you leave on your next winter road trip. As you can see, we take winter road trip safety very seriously. 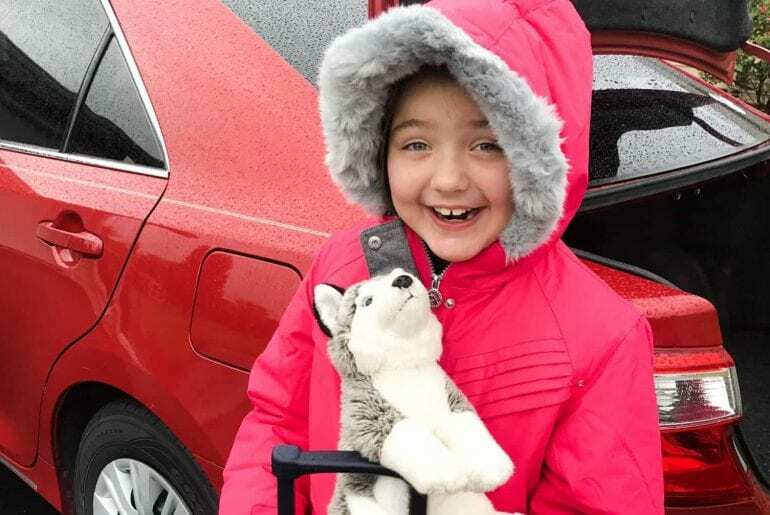 We love to visit Branson for Ozark Mountain Christmas, but we also want to return home safely. Hopefully, this checklist, along with using Goodyear Assurance WeatherReady tires, can help you have safe winter road trips, too. If purchasing tires will be a part of your weather safety plan, click here to order your Goodyear Assurance WeatherReady tires today! It’s super important to be prepared on a road trip! A lot of these tips people either don’t know about or forget. I like that you have checking tires #1 because at the very least, you should do that I think. Thank you for this! You’re welcome! 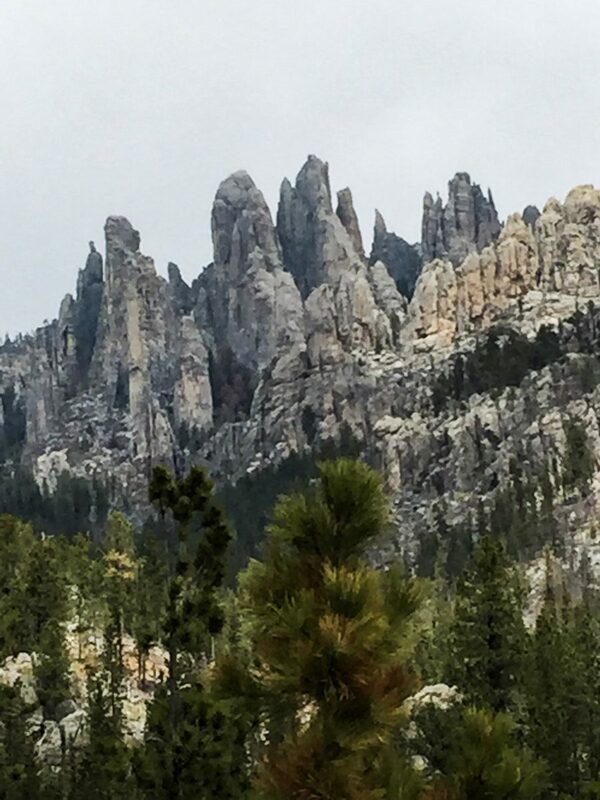 I agree; you should check these things before any road trip! I agree; it’s better to be safe than sorry! I love your penny trick, what a great way to check tread! I’ve just had to replace all if my tyres as the tread was so low they were just about worn through, definitely something I need to check more often. It’s hard to remember to check these things, I think. That’s why I think it’s a good idea to at least check tires before trips and winter weather. I like your tips. I remember my parents even keeping an extra blanket or two and extra clothes in the car when we would travel during the winter, in case of a breakdown. Excellent tips! Thank you! I agree; blankets are essential. We keep a couple in the backseat all year long. It’s been so long since I’ve needed to worry about winters! So happy to have this list to make sure I’m ready! Yay! I’m glad you’ll be prepared if you ever have to deal with winter weather! Thanks! We really don’t get too much snow here. It’s just enough to cause problems. And then there’s the ice! I could definitely see that. I can imagine how winter is there! Thanks! It’s great to be prepared! The windshield wiper one is a biggie! I was caught in a bad snow storm once with wipers that were not in great condition and it was horrible! Thanks for sharing! Oh no! That would not be fun at all. Wipers are important to check! It’s definitely a good idea as the temperature drops! Thanks! I thought I commented on this, but maybe I just shared??? I know I pinned this! I need to get new tires real bad – like next week! I need three new ones, so yeah $$$$!!!! But its so important to be riding safe of course! I hate winter, but I love your tips. Thank you! I hate it when it’s time to buy new tires, but when we have to, we have to. Great info for taking a winter road trip! I love the tire tip using the penny. I’m going to try that! Your video is so helpful too. Thanks for the great tips. Thank you! I’m glad we could be helpful! I love this! My husband is a prepper so we always have our bag in the car when it starts to get cold. We live in South Carolina so it probably isn’t as pertinent for us but you can’t be too prepared! I agree! Better to be safe than sorry! My car just had an alert go off that the tire pressure was low. I had to Google how to put air in my tire. And of course when I went to leave work, the alert was gone. At least I know how to now! LOL! Yes, during this time of year, you pressure may change throughout the day due to temperature changes. Google to the rescue! Good ideas! I do most of them always keep tools and emergency stuff in our car. Thank you! I agree; it’s good to be prepared! This is great! I have had my wiper fluid freeze up before while driving…not fun. And I really need to get in the habit of keeping a fully-stocked emergency kit in the car. Oh, that would not be fun at all! I try to keep a kit in the car all winter. That is a very comprehensive list. Thanks for putting together! I will show to my husband and make sure we are not missing anything on our road trip prep. Sounds great! I’m glad to be helpful! I agree! You have to be prepared for anything in the winter! Born and growing up in the equator, I know nothing about these. Luckily my husband whose from PA knew and always did these every winter road trip we made. That’s good! It’s a good idea to be prepared in the winter here! These are some very useful and practical tips. The worst thing is getting stuck or worse having an accident especially in winter. 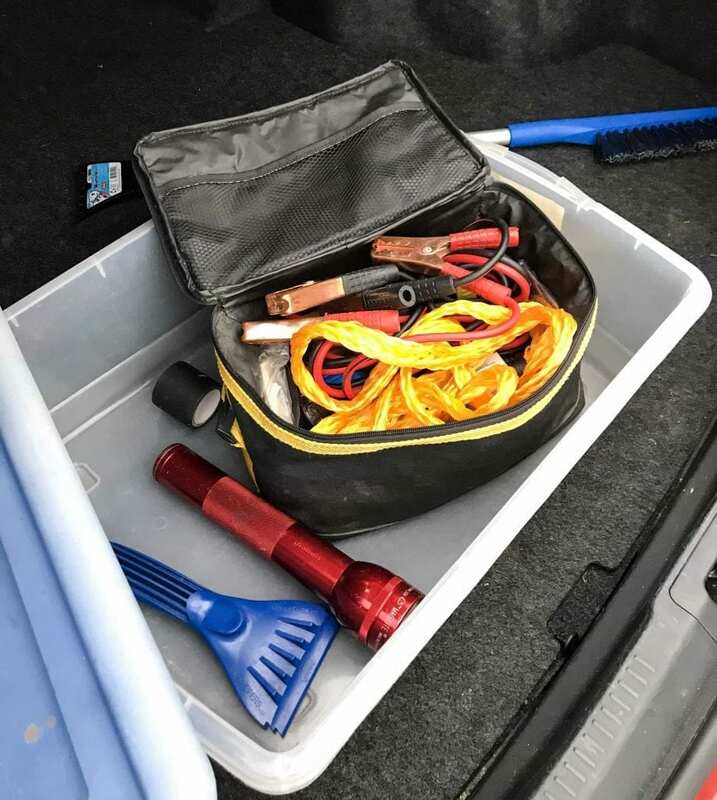 I like the fact you have a emergency kit prepared, there have been a few times we’ve been stuck with the battery running low and a lack of jumper cables to hand. Thank you! I try to keep jumper cables in the car at all times! These tips are great! I live in Minnesota and other than some blankets don’t have much for a winter kit. This post has motivated me to get that together, especially since it’s almost winter here! I’m glad! Winter will be here before we know it! These are great tips! I’m awlays amazed at how many people don’t know the kitty litter trick. If you don’t have it, you can use your floor mats, too. That is true! Floormats can help, too! Great tips! 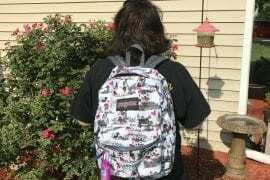 These are good tips for winterizing as well! Thank you! It feels good when you are prepared, that’s for sure! 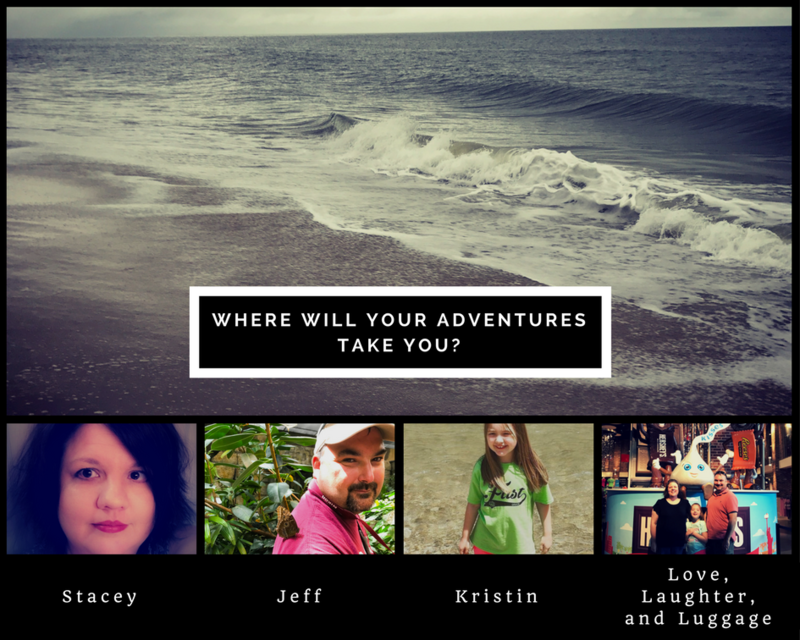 We are getting ready to take a roadtrip, so this list was perfect. When I went to check the things you suggested I realized that our windshield wipers definitely need replacing. Thank goodness I looked before we were stuck in a storm!! I’m glad we could help! Thanks for reading! Thank you! I’m glad these are helpful!